To celebrate Miss Make Up Fairy hitting 50 subscribers, I am hosting a giveaway featuring a few of my favorite products!!! 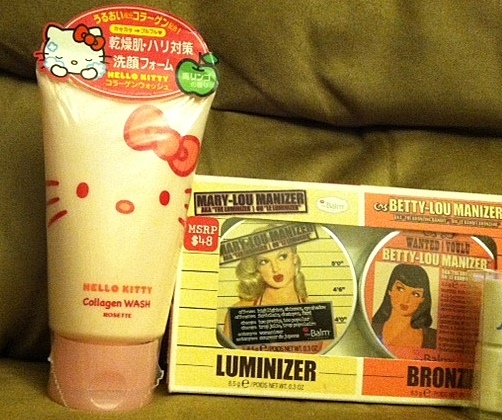 Products include: My favorite Japanese face wash: Hello Kitty Collagen Wash in Rosette. It makes your face sooo soft. And since I went on a buying spree when T.J. Maxx had The Balm Cosmetics in stock, I picked up a few extras of my favorites to giveaway. We have the "Manizer" set which includes "Mary-Lou-AKA The Luminizer-Manizer" and "Betty-Lou-AKA The Bronzing Bandit-Manizer". This is my favorite highlight and bronzer duo! Next up is the "Shady Lady Vol. 3" eyeshadow set. This includes 9 different eye shadows!! Four great nail polish shades that H&M released in their Spring Collection but work all year round! Finally, a brand new E.L.F. Mineral Brush Set. These brushes are sooo soft!! Giveaway is open INTERNATIONALLY. Anyone can enter! The deadline will be in one week from today; Wednesday, September 30 at 11:59 PM CST. Hey girl! I'm following you as KAT. 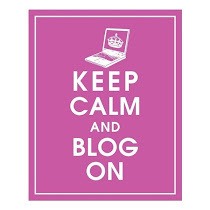 Here's a link back to my blog where you can find your link to you blog on the side bar under my 'About Me' section! I'm following under "Miss Katie"
I would love to see makeup looks you do on yourself. I love to see people's makeup! I would love to pick the winner but neither or you left me your email address and I can't seem to contact you on blogger. Since it is just 2 of you, first to respond to this with a comment and a email address wins!